A Professional geoscientist, Catherine is a globe-trotting geologist with extensive experience in remote areas of the globe. 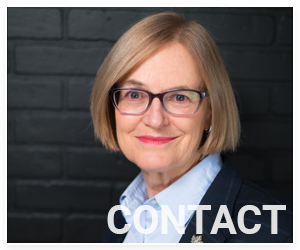 She is a member of the 100 year plus old Explorers Club, Director of the BC/Yukon Section of the Canadian Chapter as well as a member of the Flags and Honours Committee. She also serves as a Director of the Wells Gray Wilderness Centre Society and is Chair of the Wells Gray World Heritage Committee. Catherine is the recipient of many awards recognizing her outstanding contributions to geoscience, communication, and education of the public, she is author of numerous articles and books. A sought after field trip leader and speaker, she brings her significant geoscience expertise to help the public understand the landscapes they are journeying through and how geology influences our lives. As geoscientist-on-board, Catherine has travelled extensively with Seabourn Cruise Line. With Seabourn she has been UNESCO lecturer in the Aegean, Black Sea and the South China Sea. The theme of her conversations have been looking at the geological influences on civilizations. With Seabourn she is also member of the Antarctica Expedition team. On trips to Antarctica she explains the stunning natural world of Antarctica and how geology plays a fundamental role in shaping this frigid world. Catherine also works for Adventure Canada. A based in Canada, family owned business, Adventure Canada has been her home through the high Arctic reaching as far north as Smith Channel between Greenland and Elsmere Island. Trips through the fabled North West Passage as wells Ungava Bay and the amazingly art oriented communities of Baffin Island. Through a network of contacts and strategic relationships, Tuya Terra Geo Corp. (TTGeo) can provide for your consulting needs in geoscience education and tourism, providing enhanced tourism products through expert led and guided trips. TTGeo provides experts to Seabourn Cruise Line and Adventure Canada. Catherine was instrumental in recognizing the significance of a newly discovered cave in Wells Gray Park when it was reported to her in early May 2018. She contacted caving expert John Pollack and they, together with Lee Hollis, made the first exploration of the cave in September 2018. 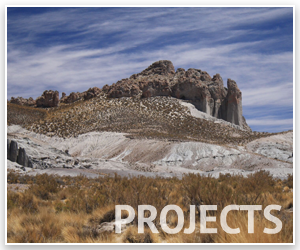 Tuya Terra Geo Corp. also provided funding for the exploration.